Lifesaving Rescue Tools Included: This Tire Pressure Gauge Multi Tool comes with an emergency seat belt cutter and glass hammer. Use Day or Night: This Digital Tire Pressure Gauge light up the night tool includes both a white and red LED flashlight, so you can work at night or at day. Measure High and Low Pressure: Four Scales pressure up to 150 PSI, KPA & BAR, from measurements as low as 3.0 PSI, Giving you flexibility to check the pressure in the same measurement units that are used by your vehicle manufacturer with Tire Air Pressure Gauge. Easy and Quick Check: Fortunately, you can quickly check the tire pressure and fill your tires before disaster strikes with Digital Tire Pressure Gauge. Accurate Tire Pressure in Seconds: Press the button to turn it on. Simple to use, highly accurate gauge measures pressure in, with this Tire Pressure Gauge and prevent tire BLOWOUTS. This Digital Tire Gauge with Multi-Tools is made from high-quality materials. It passed through an advanced configuration. Driving on poorly inflated tires is downright dangerous, but you often can't tell that your tires are under inflated until it's too late. Fortunately, you can quickly check your tire pressure and fill your tires before disaster strikes with the help of the Digital Tire Gauge with Multi Tools. The Digital Tire Gauge with Multi-Tools present to you the most convenient tools that you may use wherever you are on the road. White LED flashlight - an LED flashlight that will surely bring a bright light. Blue backlight - a blue backlight that enables you to see the measures even at the dark. LED light switch - the switch for the white and red LED lights. Safety lock button - a safety lock button for the Glass Breaker/ Hammer (4). 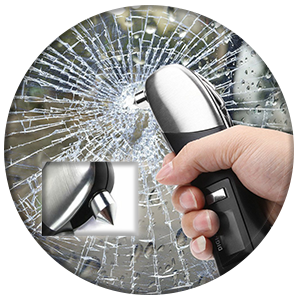 Glass Hammer - a glass hammer for emergency use of breaking car windows. Screw Driver (-) - a flat head screwdriver. 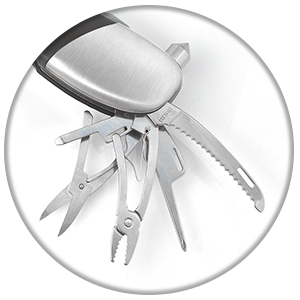 Seatbelt Cutter - a seatbelt cutter in case of emergencies. Pliers - a pliers for gripping small objects and wires. Screw Driver (+) - a phillips head screwdriver. Scissors - a handy scissors. Power Button - On/ Off button, also used to change the unit of measurement. 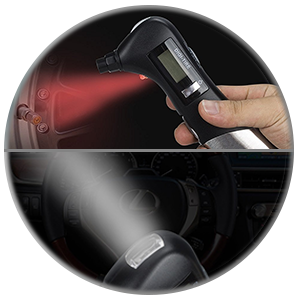 Red LED light - the red LED light that enables you to see the nozzle even in the dark. Quick repairs on the go by using the compact Multi-Tools. It includes Pliers, Scissors, Flat Head Screwdriver, Phillips Screwdriver, and an emergency Seatbelt Cutter all in one single tool! The emergency Glass Breaker/ Hammer. Keep yourself on guard because accidents may happen all the time. Always keep the lights on, the White and Red LED lights will surely bring the light by your side so you can work on your tires even in the dark!